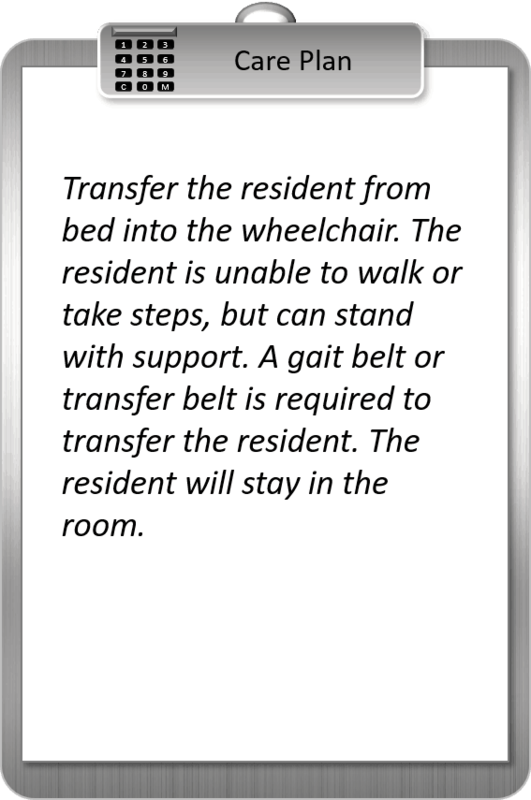 Transfer a resident from bed to wheelchair with a gait belt: these words often strike fear into a CNA student’s heart! 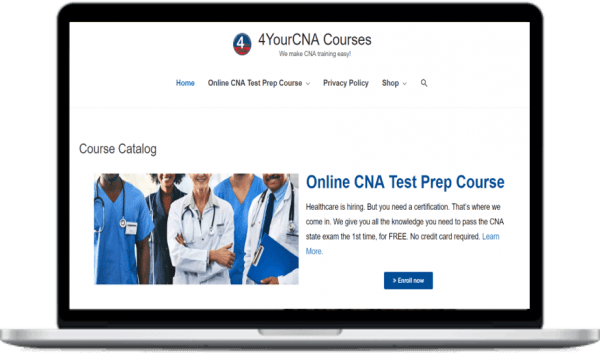 But in reality, this is not a hard skill, as long as you understand the body mechanics and safety behind it (covered in the online test prep program) – AND you know what the patient’s limitations are. So, how would we know that? 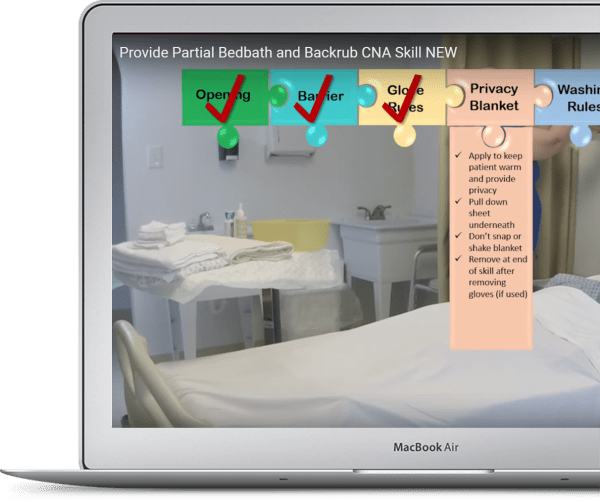 Read the care plan! See that little red button above the video? That is the care plan for the state exam. Click on it. Go ahead, I’ll wait. You are graded on reading and following the care plan – it counts as a big part of your grade! This care plan tells us the patient can’t take steps, so this transfer MUST be done as a pivot. Making the patient take steps is not allowed. Safety will count big, too, so make sure the wheelchair is locked before and after the transfer (our online course covers this in detail). Since this care plan is very specific, following it will count big for the exam. Always read and follow the care plan!